As materials for electronic and communication applications grow smaller and more diverse, it is important for our characterization tools to become faster, more sensitive, and less cumbersome. In the past, studying conduction and electronic properties required contact-based techniques. This is no longer an option when dealing with nanoscale materials. Fortunately, the development of terahertz spectroscopy has made it possible to measure the complex dielectric constants in low absorption materials, without having to attach actual electrical contacts. Furthermore, terahertz-based time-resolved spectroscopy offers subpicosecond time resolution, enabling us to observe ultrafast phenomena, almost up to the boundary of electronic timescales. The low photon energy of terahertz radiation has enabled scientists across disciplines to study materials in a non-destructive manner. In this talk, I will explain how we use terahertz spectroscopy to follow the electron dynamics and understand photoconductivity in some semiconductors. Apart from eliminating the need for electrical contacts, we also no longer rely on a material’s ability to produce photoluminescence/fluorescence in order to study transient processes. Jessica Afalla obtained her BS, MS, and PhD degrees from the National Institute of Physics, University of the Philippines Diliman. She worked at the Molecular Photoscience Research Center (Kobe University) as a Visiting Research Fellow. Since 2016, she has been an Institute Researcher at the Research Center for Development of Far-Infrared Region (University of Fukui). Her research activities include the utilization and development of terahertz-based spectroscopic techniques in order to measure material properties. She is especially interested in understanding carrier dynamics in (semiconducting) materials and assess whether or not they are suitable for their targeted applications. J. Afalla. 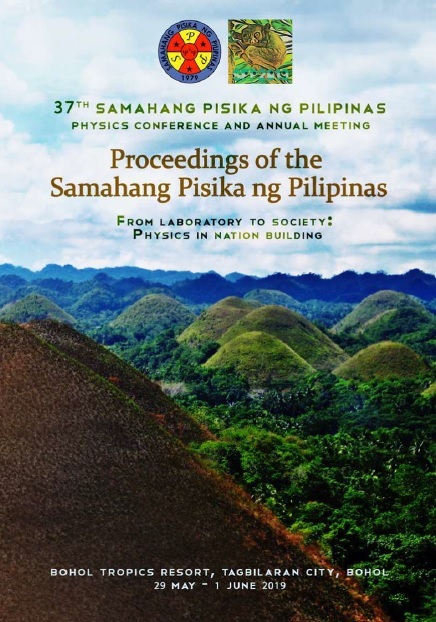 Using terahertz spectroscopy to understand photoconductivity and carrier dynamics in semiconducting materials, Proceedings of the Samahang Pisika ng Pilipinas 37, SPP-2019-INV-3B-01 (2019). URL: https://paperview.spp-online.org/proceedings/article/view/SPP-2019-INV-3B-01.